I've been itching for a little candy making lately. However, whenever I post candy on the blog I spend a lot of time in the comments answering questions and discussing the science behind candy making. I told myself that the next time I made candy for NSHP, I was going to take some time to talk about sugar and the science behind candy making. So I made some lollipops last Friday, probably the simplest and cutest candy someone can make at home and wrote a post on sugar, science and lollipops. Well sorta. The post got totally out of hand. Epic baking nerdery. I had to rewrite the whole thing because I was just rambling on and on about chemistry, fructose grannies, sucrose dance parties and molecular peer pressure. It was long and well, it was a bit weird. "My candy crystallized! What should I do differently?" To which I usually give the stock answers of washing down the sides of the pot, don't stir after a certain point, keep seed crystals away from your syrup and use some corn syrup. "I don't have or can't use corn syrup, what do I do?" Crystallization and what alternatives are out there for folks who cannot find, or do not wish to use corn syrup. When you cook a sugar syrup, the water boils away and the sugar concentrates. As the sugar concentrates the temperature increases. This is why we use temperature (not cooking time) to determine if the syrup is ready to make a batch of taffy or a batch of toffee. The higher the temperature, the more concentrated the syrup, the firmer it will set when cool. Unfortunately, the more concentrated the sugar the higher the risk of crystallization. Eventually it will get to a point where basically all you have to do is look at it funny and BAM (channeling Emeril today it seems) you've created a batch of woefully gritty candy. Of course this is a bit of an exaggeration, but when you're dealing with a highly saturated solution it really doesn't take much. How does one prevent this? Well this is where things can get a bit long, there are both methods and ingredients that can assist in preventing crystallization. To keep things brief we're going to stick to interfering agents (ingredients). The common means of preventing crystallization in candy making are glucose, fructose and fats. Think of sucrose molecules as puzzle pieces. Pieces to the least puzzling puzzle ever, since they all align perfectly with each other. Now, glucose and fructose... well they're not part of the puzzle set and basically gets in the way of the sucrose pieces (hence the term interfering agents). The sucrose has a hard time aligning with other sucrose molecules if there is a glucose molecule between it and its sucrose buddy. In candies like caramels, butter (fat) plays a similar role. My go-to interfering agent is glucose (corn syrup) when making candy. It is readily available in the U.S. and inexpensive (in bulk). If you're not able to buy corn syrup or don't wish to use it there are options for substitution. However it is important that your substitution be primarily composed of glucose or a mixture of glucose/fructose. I've seen folks suggest substituting sucrose based syrups for corn syrup in candy making, however this will not fulfill corn syrup's roll in prevent crystallization. You're just adding more sucrose puzzle pieces to the mix and that will only make those crystallization crazed sugar molecules more happy. So when choosing a substitution, read the labels and think about the chemistry. 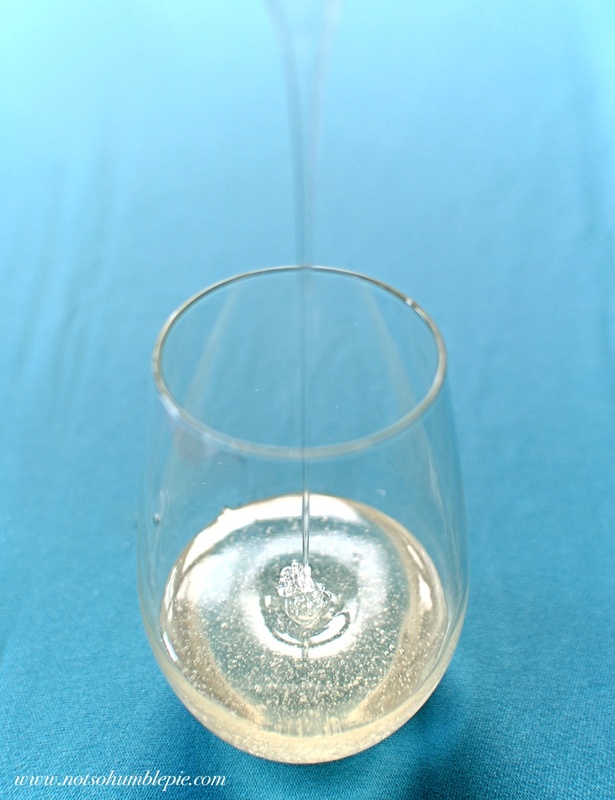 This is a quick and dirty run down of sweeteners in various syrups. Probably inaccurate because the internet lies to me, but it will give you a rough idea of what you're dealing with. 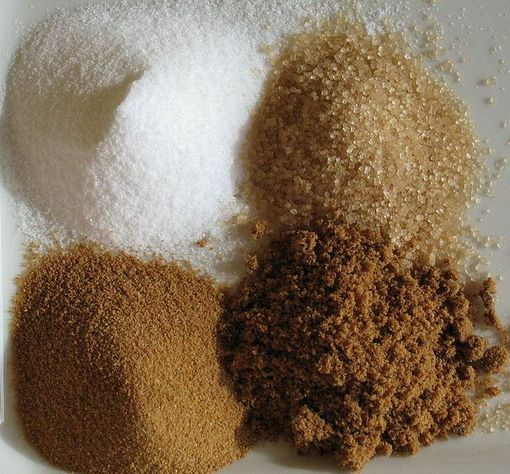 Not all of these sweeteners are equal when it comes to candy making. 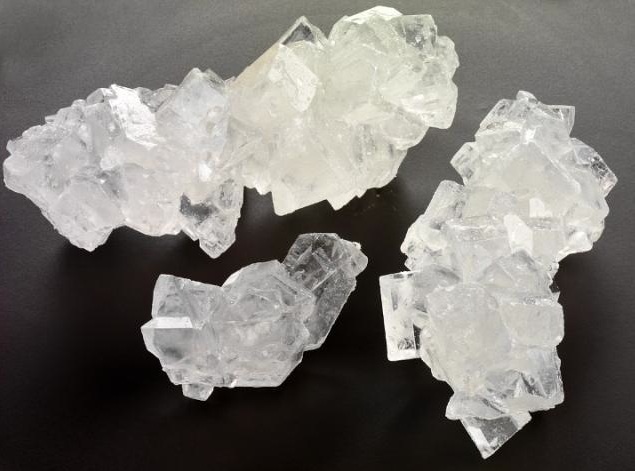 When looking for an agent to help prevent crystallization, obviously you will want to avoid sucrose as it isn't going to do much to prevent crystallization. One will also need to be mindful of how hygroscopic (how much water it absorbs from the atmosphere) the sweetener is, depending on the candy you're making. A sweetener with a lot of fructose (which will wick moisture at even a low relative humidity) can make hard candies that can quickly become gummy and sticky. This is also why one needs to be mindful of the humidity when making candy as all sugars are hygroscopic to some degree. Unless somehow, you're working with a low hygroscopic sweetener like isomalt, you shouldn't make candy on humid days. Of all of the syrups listed above, you can make the last of them (Invert Syrup) at home from plain ol' sugar. Meaning it it can be made by almost anyone anywhere. So today, for this candy post I'm going to put aside my ameri-centric corn syrup and cook with the more universal inverted syrup. The regular sugar (sucrose) is really just two simpler sugars linked (glucose and fructose). If you separate them, then you are creating fructose and glucose, the interfering agent needed to prevent crystallization. This is an enzyme that breaks down sucrose into an inverted sugar syrup (fructose and glucose). Those gooey chocolate covered cherries you like? Invertase. Soft creamy Junior mints, Cadbury eggs, Caramello bars? Those are invertase too. It is a little O-C(fructose) bond cleaving powerhouse and how most commercial invert sugar and gooey treats are made. It can be difficult to find Invertase in the retail market, though specialty shops that cater to home candy makers will carry it. One can also find it online--along with practically everything else under the sun--at Amazon. No, not 'ahhh my skin' kind of acid. The decidedly less cool types, like lemon juice, which don't produce any ahhhhh's or flailing, unless squirted into the eyes. Citric acid, ascorbic acid, potassium bitartrate (cream of tartar) are other acids that are used to accelerate the conversion of sucrose to invert sugar. I tested two batches of invert syrup, as I had never used it before in candy making and I wanted to be certain it worked. I made one batch with lemon and one with cream of tarter. They both worked well in the lollipop recipe (which happens to be a great test for these syrups as lollipops are highly prone to crystallization without an interfering agent). Combine your ingredients in a heavy bottomed sauce pan and bring to a boil over medium heat, stirring until the sugar is dissolved. Once it boils, stop stirring and wash down the sides of the pot with a damp pastry brush to remove any crystals from the side of the pan. Allow the pot to boil undisturbed until it reaches 230°F and then remove from heat. 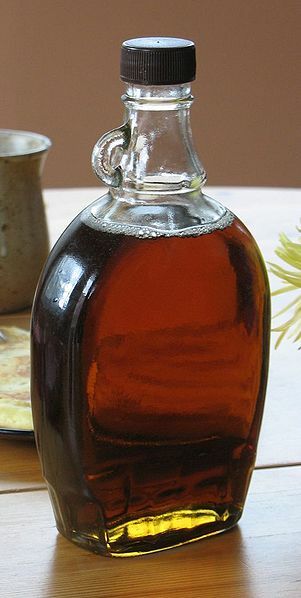 Allow the syrup to cool a bit and then pour into a heat safe container (mason jars or Italian caning jars work great). You can store it tightly covered in your refrigerator for up to 6 months. Now you can make lollipops! Additional supplies: lollipop sticks and molds*, candy oils or flavoring extracts. *You have the option of pouring the lollipops or using a lollipop mold. I have molds but I prefer the slightly irregular charm of poured lollipops. Molds do make the process easier, particularly if you don't have a perfectly level heat safe surface to pour onto. I used a very lightly oiled marble pastry slab or when needed, some space on my granite counter tops. Molds can be greased with a little nonstick spray too if you're worried about them sticking (though they usually pop out with a little flex). Combine the sugar, invert syrup (or cornsyrup), and water into a small heavy bottomed pot. Bring to a boil over medium heat stirring to dissolve the sugar. Once boiling stop stirring and wash down the sides of the pot with a damp pastry brush to remove any sugar. Clip on your candy thermometer and watch it simmer. At about 260°F add a few drops of gel food coloring to the mix, no need to stir it in, the bubbling action will take care of that. Continue to cook over medium until the temperature reads 300°F (hard crack stage) and remove from heat. Add your flavoring now and stir it in (standing back as it may steam up a bit). For this recipe it will take roughly one dram of candy flavoring oil or a 1-2 teaspoons flavoring extract. What type of flavor will determine exactly how much (peppermint and cinnamon are generally much stronger than other flavorings). Now pour the candy onto your prepared surface, working carefully as sugar burns are not fun. This isn't something that you should do with dogs, children, or marbles underfoot. You can either pour the lollipops onto the sticks or place the stick into the syrup after you've poured it. I prefer the latter as it creates a rounder lollipop, though it can be tricky to pour lollipops and insert the sticks (giving them a little twist to coat them) before the syrup hardens so consider recruiting an extra set of hands for this. For the molds, insert your sticks into the slots and then pour in your candy. That's it. Give your candy some time to cool (10-20 minutes) and then try to pop them off the surface or out of the mold (don't use the stick to pry them out). As soon as they're completely cool, individually wrap them in cellophane and tie them securely with a decorative twist tie or ribbon. This will prevent them from absorbing moisture. They should keep a few days like this depending on the humidity. Great post! Very informative, am printing out for future reference. Awesome post! I have a question about the invert syrup. I'm guessing that the acid acts as a catalyst to break apart the glycosidic bond in sucrose (my chemistry is a bit rusty) but isn't consumed in the hydrolysis. If I added some lemon juice, instead of cream of tartar, to my sugar solution, wouldn't the invert syrup taste sour afterwards? Can I somehow neutralize the acid so that it doesn't become salty or toxic (i.e. adding basic sodium salts or ammonia)? Sorry, I think my comment is too long :(. Nonetheless, great post, Mrs Humble! My daughter wants to trade you for her high school chemistry teacher. Yes it is acting as a catalyst (not consumed in the reaction) and remains in the syrup. The tiny amount of lemon juice used isn't detectable in the syrup, so don't worry about it being sour. Your baking nerdiness leaves me in a state of awe. I once managed to integrate a lecture on Anthrax in a post on knitting, but that's nothing. This is such a wonderful post! Sugar and I... We don't get along too well. This was very interesting to read. Lovely photos. Your lollipops make a cloudy day sunny. Great information, thanks! I don't have a marble slab or granite counters though. Do you have a recommendation for what I could use to pour on to? I was thinking about using a baking sheet sprayed with non-stick spray, but I thought I'd ask in case you had advice. Thanks again! What a great post - thanks for going into the chemistry detail. I'd given up on making Scottish tablet as it tended to turn out gritty but now I understand the process better I think I'll try again. The use of microwaves to heat the tablet recipe has been popular in recent years - I wonder if disaster is more or less likely with a microwave. Any thoughts on that? Thanks for this, it's great. Besides for lollipops, how would we use this invert syrup in place of corn syrup in candy making? Should it replace corn syrup in all other applications? Is it used in the same measure? From what I've read about invert syrups, you should be able to substitute it for corn syrup in almost all candy making applications. Certainly in any recipe I've posted thus far on the blog and yes, in the same measure. I've made sugar syrups in the microwave without having crystallization problems so it isn't inherently bad. Still, I think the microwave is ill suited for candy making. I never feel like I have the same control over the mixture in the microwave as I do when it is simmering gently on my stove top. Checking the temperature is easier, I can wash down the sides of the pot, etc. Any nonporous, flat, heat safe surface works great. Greased baking sheets work great. I would double check baking sheets by pouting a little water onto it to make sure it is level. If the water stays put it is perfect. If the water runs to a lower point in the pan, then you might want to use a different baking sheet (or develop a fondness for abstract lollipops). Wow o_o This is wonderful. I will definitely have to try it now that it sounds less difficult than other recipes. I read your whole post, found it very informative and educational. And also useful for the next time I make lobster-shaped lollipops (the first time didn't turn out so well). But all I can think about after reading it is... 9% bee spit? I have a whole new outlook on honey now. 1. are all your lollipops as big as the one Little Hum. has? and 2. can I pour out the l.pops onto parchment paper on a cookie sheet? These are not huge lollipops, they're only a few inches across. I wouldn't pour the syrup onto parchment. You can pour them onto a lightly oiled or buttered cookie sheet. Provided the cookie sheet is level and not warped with age. Slice of Apple Pie, Anyone? Rhodes & The 'Worlds Best' Brownies?